17" vintage handmade iron wire storage basket withh 2 handles is used for multi-purpose. This storage basket is built with strong quality iron to carry the things. 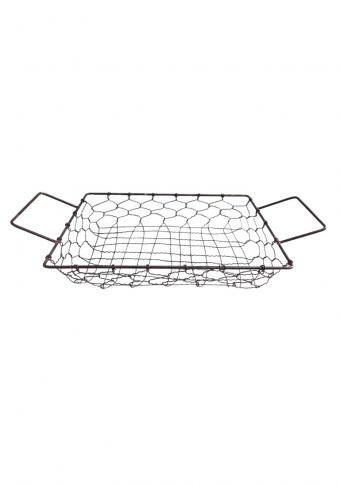 This Iron wire storage basket is finished with the powder coated‚ which prevent the rust formation. The size of the basket is 17X9X2.5 inches. This can be used as fruit basket and as well as for garden purpose. We provide free shipping‚ safe and secure payment gateway through our website.